(Bloomberg) -- A Democratic U.S. senator, who has successfully pushed children’s media regulation, wants to rein in controversial content and advertising, including product placement, that digital giants like YouTube and Facebook Inc. show children. 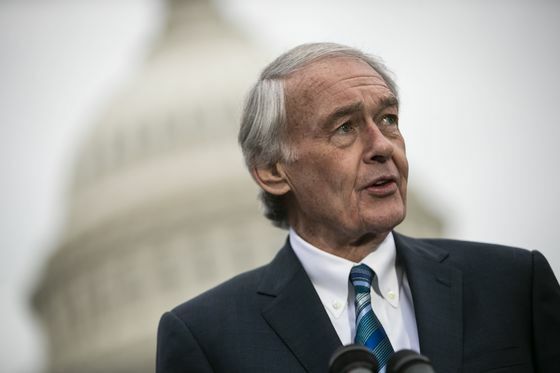 Massachusetts Senator Ed Markey outlined a bill on Thursday that would extend to online platforms principles from a 1990 law he worked on that limited advertisements during television programming for kids. The proposal would also curb "commercialization and marketing that manipulate kids and push them into a consumer culture" as well as rein in algorithms and other features that amplify harmful content. "It is time to face the chilling reality that some websites and apps today are built in ways that harm children," Markey said at an event in Washington focused on kids online. He compared the platforms to tobacco and toxic chemicals in toys. The proposal comes as concerns about what kids are exposed to online -- including disturbing content, data collection on minors and technology’s effect on their health -- have led to complaints, calls for regulation and changes at the companies in a larger backlash against technology companies. While Markey’s office said he will finalize the text as he seeks cosponsors, the central targets are Facebook and Alphabet Inc.’s Google, which dominate online advertising and run the largest digital services. "We must take on those who are trying to exploit these kids for their own financial benefit," Markey told the conference hosted by kids’ media activist Common Sense Media. Facebook Inc. Chief Executive Officer Mark Zuckerberg was asked about how he feels about children and screens in an interview Thursday morning on Good Morning America. "One of the things that I’m very mindful of is to make sure that the services that we’re building help to create meaningful interactions between people and are not just a place where people can zone out and consume content for a long time," Zuckerberg said. Markey said the bill would establish "rules of the road" to deal with product placements, citing the proliferation of "unboxing" videos in which popular kid creators of videos open toys and play with them. Critics say they amount to a form of advertising that would never be allowed on TV. The bill would also tackle design features like autoplay and mobile app push alerts that Markey said keep kids sucked into products and increase the risk they’ll come across violent or sexual content. The youth market in online content is hard to ignore for the companies. YouTube doesn’t share sales, but the research firm Loup Ventures estimates that 5 percent, or roughly $750 million a year, of the video site’s annual revenue comes from content aimed at children. In November 2017, YouTube cut off thousands of channels from receiving ad revenue, or kicked them off the site in response to media coverage of disturbing videos aimed at kids. YouTube and Facebook only allow users older than 13 to sign up for their sites, although kids can easily lie about their age. Facebook didn’t immediately respond to request for comment on Markey’s proposal and Google declined to comment. Markey and James Steyer, the chief executive officer of Common Sense, both cast a push on kids privacy as crucial for a vulnerable population, but also the first step in larger regulation of technology companies. "These are really, really important societal issues, and kids are the first step in a broader discussion," Steyer said, suggesting that future proposals should increase platforms’ liability on the content that users post, for which they largely have immunity under federal law.